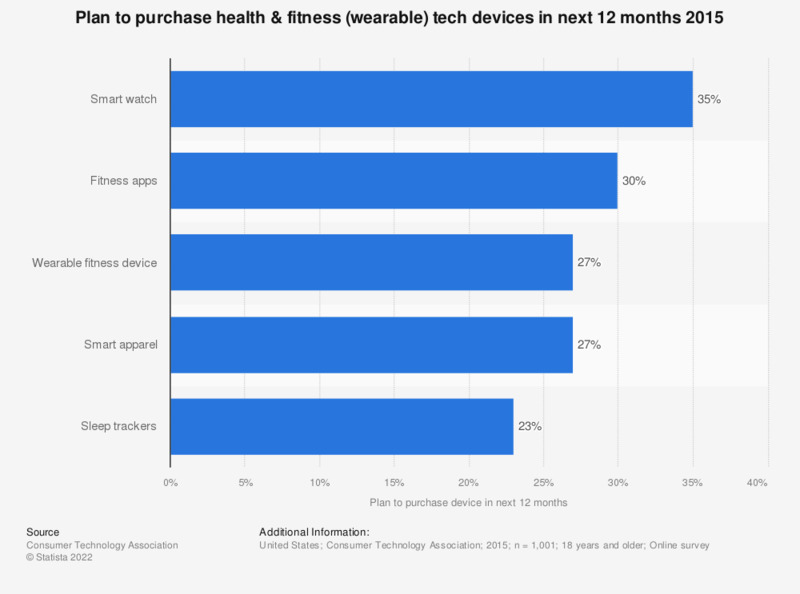 The statistic shows the purchase intentions of US American consumers in regards to fitness and health tech devices in 2015. 35 percent of respondents said that they are planning to purchase a smart watch in the next 12 months. Would you be excited to experience a wearable technology product from any of the following types of companies or individuals?